This year’s Thinkers50 ranking publication is getting closer. Besides that, they have already announced that Henry Mintzberg will receive the 2015 Lifetime Achievement Award. I think he is an excellent choice. I have to admit that Henry Mintzberg is one of my favorite management and strategy writers. 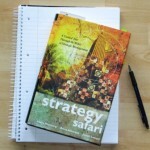 I first heard about him when I was recommended to read the Strategy Safari during my MBA at the beginning of the century. Since then, I like his well-thought writings that are almost entertaining to read due to his light humor. I guess at that time, Mintzberg already was that successful that he could afford to write something beyond formal research papers and textbooks. Hence, he took the liberty to critique widely accepted concepts like strategic Planning and MBA education .